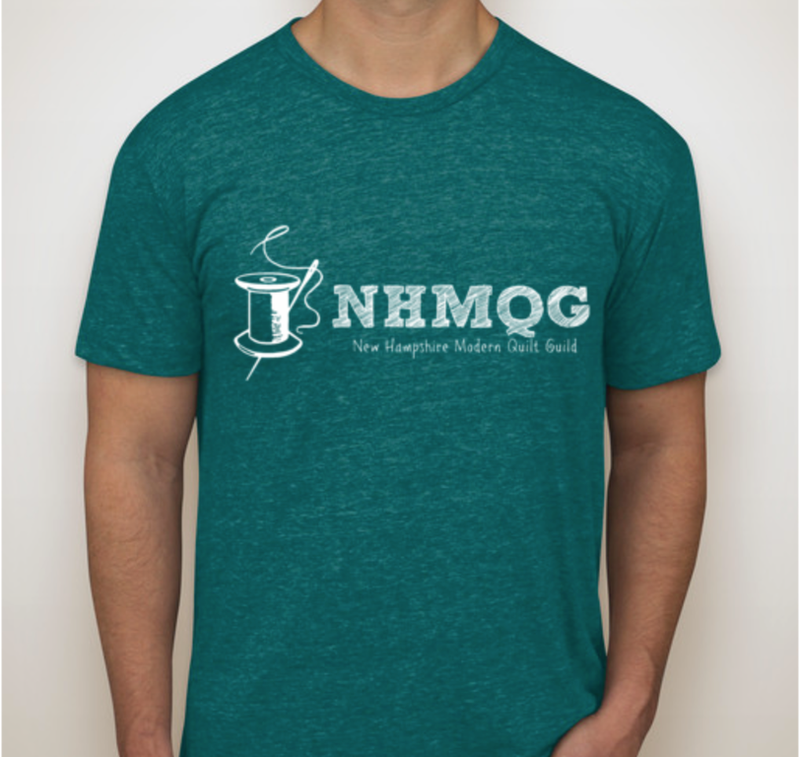 One of the first items shared at our February Show N' Tell was a new t-shirt that we will be ordering for guild members! These shirts are being ordered later this month and will be ready before we head to Maine for retreat in April. If you would like to order one please bring $20 to our March meeting. The next item shared were the Janome blocks our members have been working on since December. There were enough blocks made to create two charity quilts! We will have those to show you soon. Lisa is participating in the "Rainbow Mini Swap" and created this beauty! Annick wasn't able to test Marie's new pattern at Fall retreat, but she has made it now and her version looks great! Speaking of Marie, she made this wonderful quilt for her daughters wedding gift. The front and back are so lovely! Karen free motion quilted this mini and it looks so awesome! Susie is also participating in the "Rainbow Mini Swap" and her mini is completely paper pieced. Alexandra has caught the garment sewing bug and made a fabulous poncho(with a hood!) and a great new bag. Simone is using pinks and purples to make the Fancy Forest quilt that she plans to gift. This ombre quilt made by Jessie is so eye catching! Carolyn made this beauty from Patchwork City. Chelsea had two quilts to show this month. The first is from a block of the month club she participated in in 2014 and the second is plus signs with shadows. Aren't they both so colorful and fun! Trish has finished her half square triangle quilt and she used all Liberty of London fabrics! Doesn't it look aces?! How cool is it that our very own VP Michelle was asked by Art Gallery Fabrics designer Bonnie Christine to participate in the blog hop for her new fabric line?! You can read all about the bag Michelle created here.